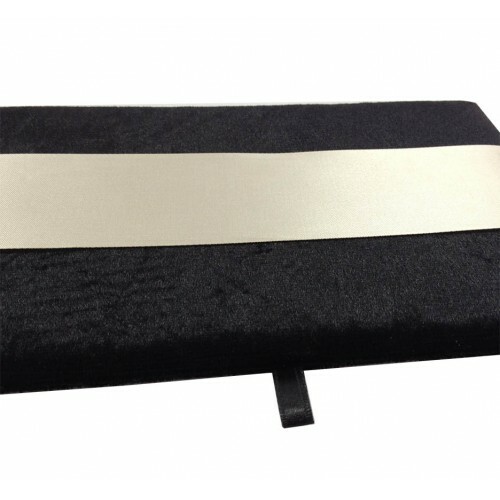 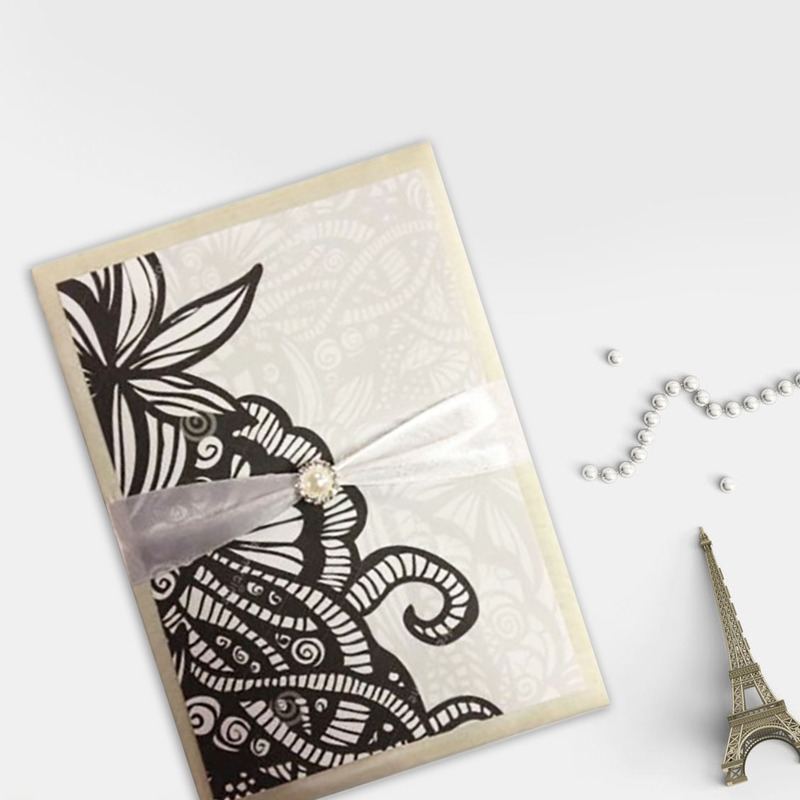 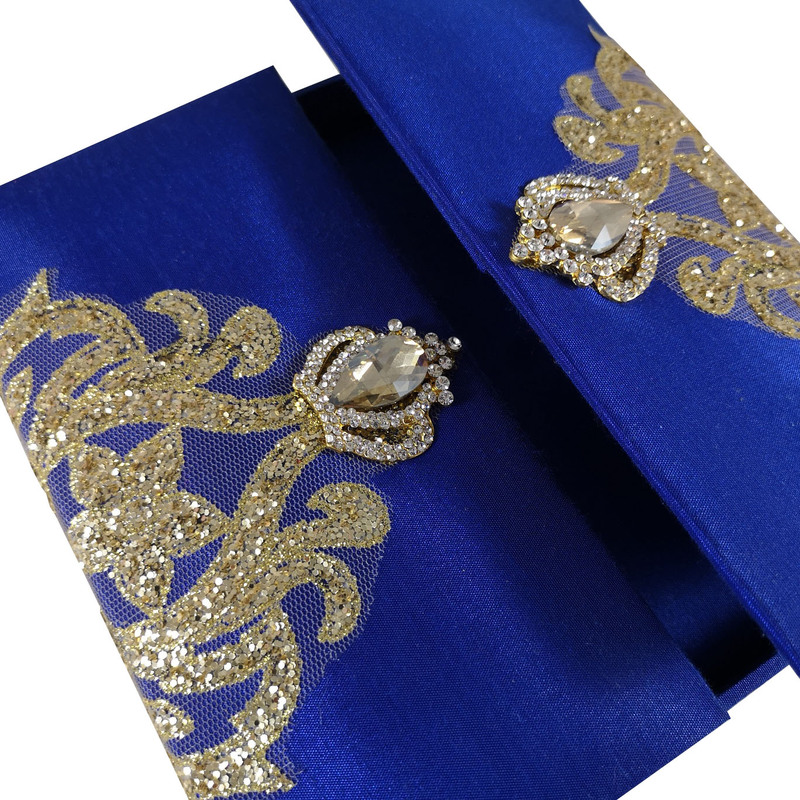 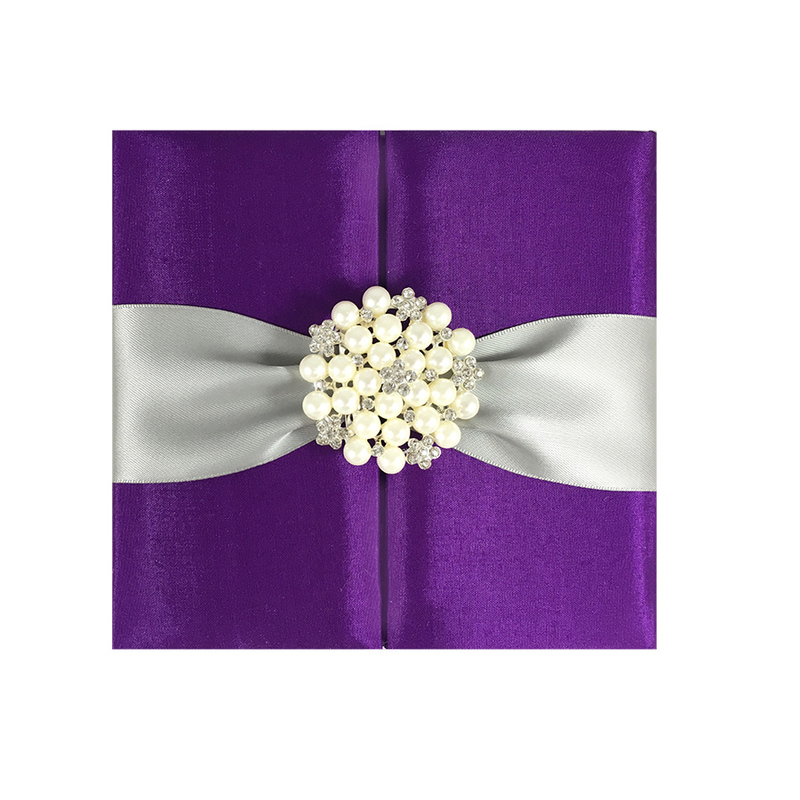 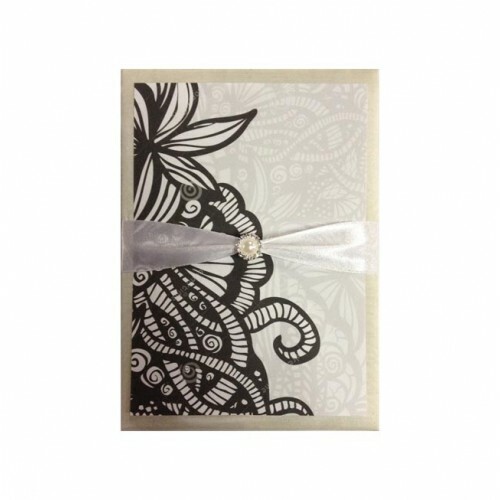 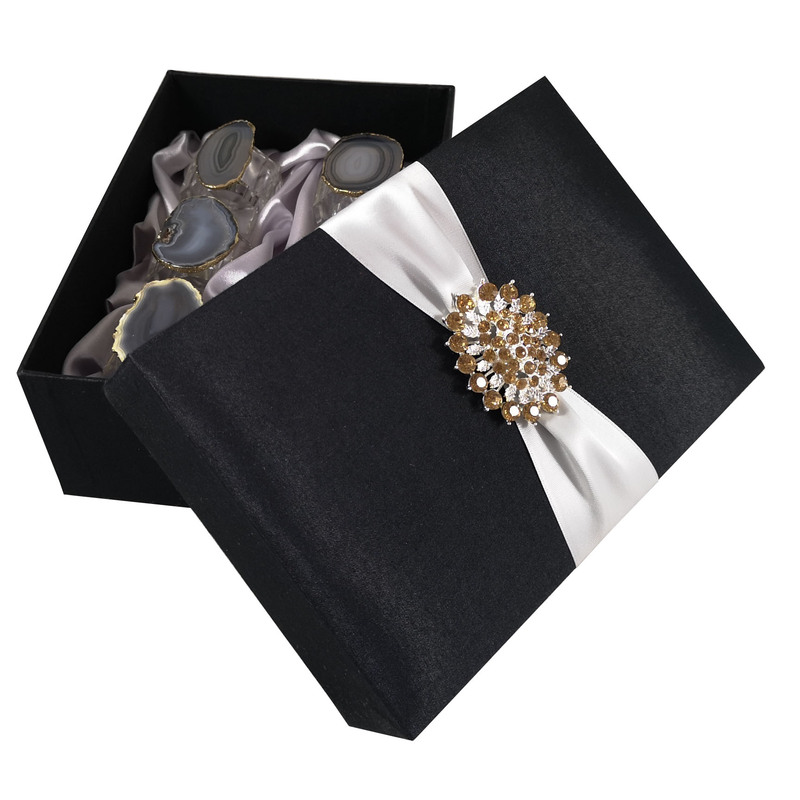 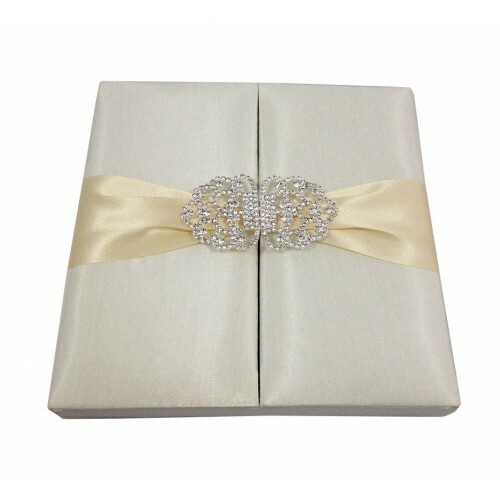 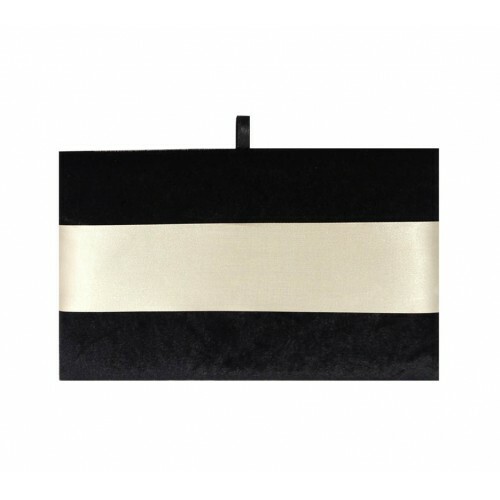 Impress your guests with this luxury invitation pad made of off-white silk. 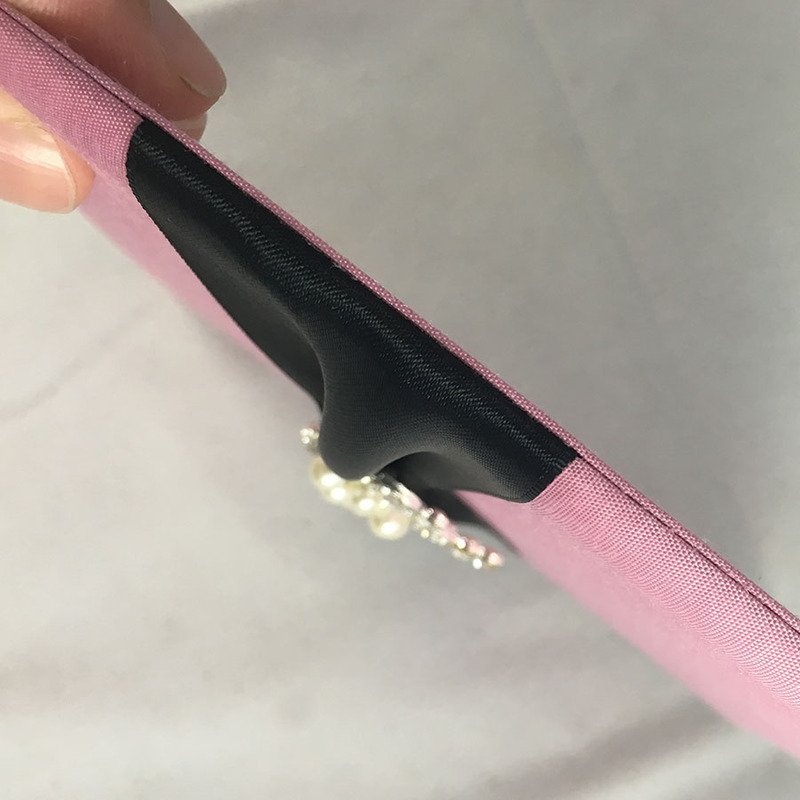 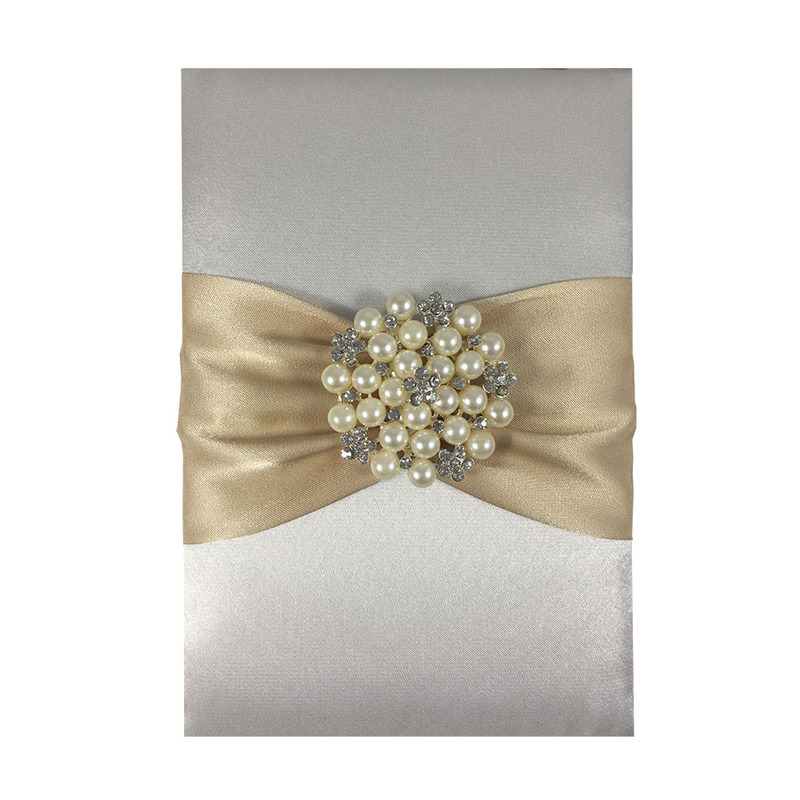 The simple design keeps things classy and elegant, while the pearl button embellishment adds a touch of decadence to the pad. 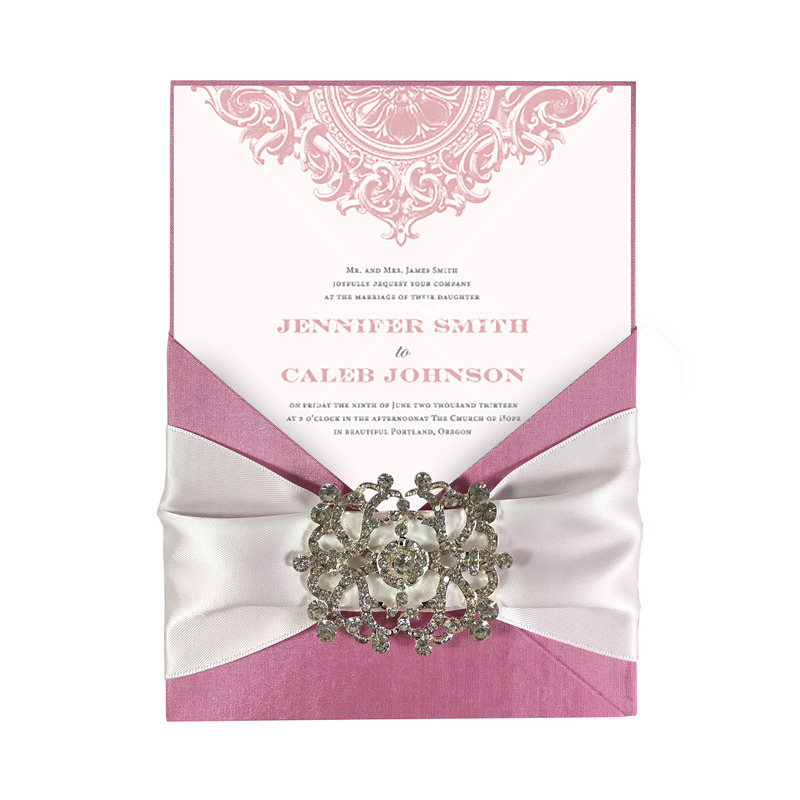 Use as a holder for an extravagant extra detail to wedding invitations, birthday invitations or invitations to other events, as well as announcement cards. 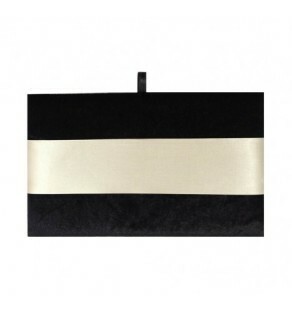 This pad is also great as a dinner table decoration, since it can hold place cards or individual menus. 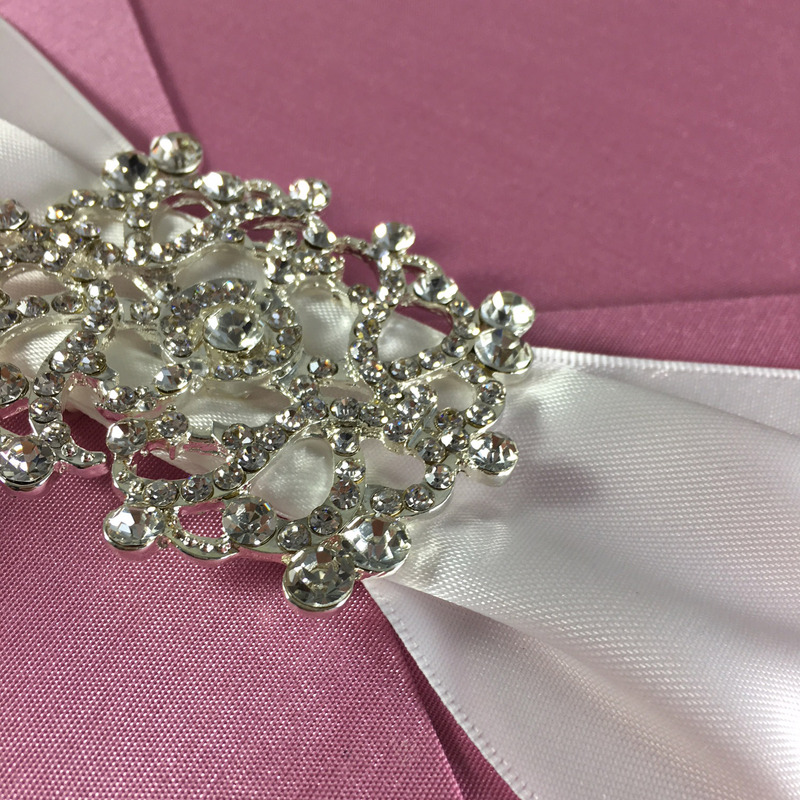 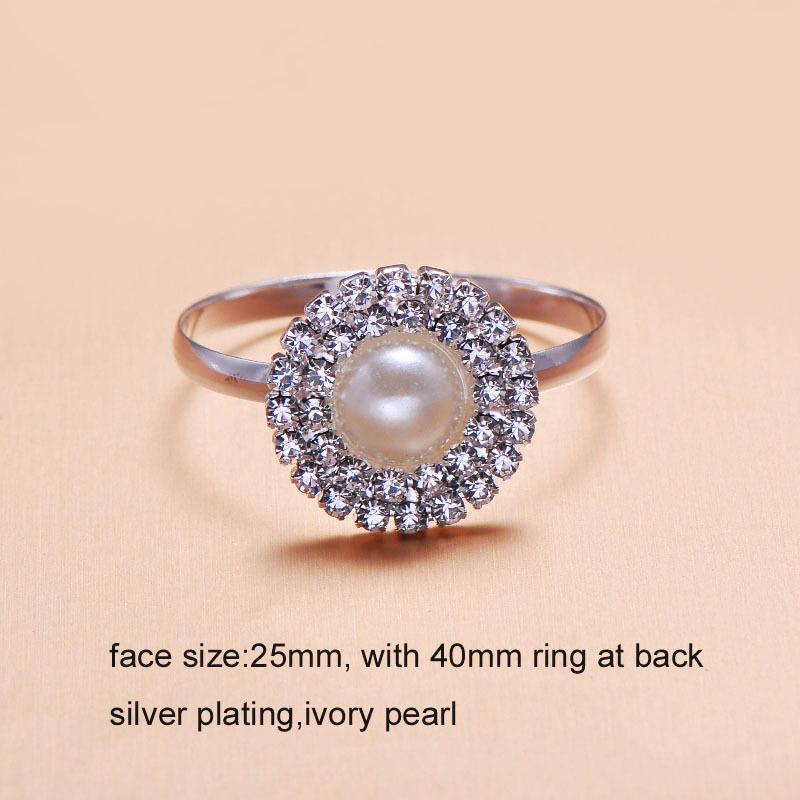 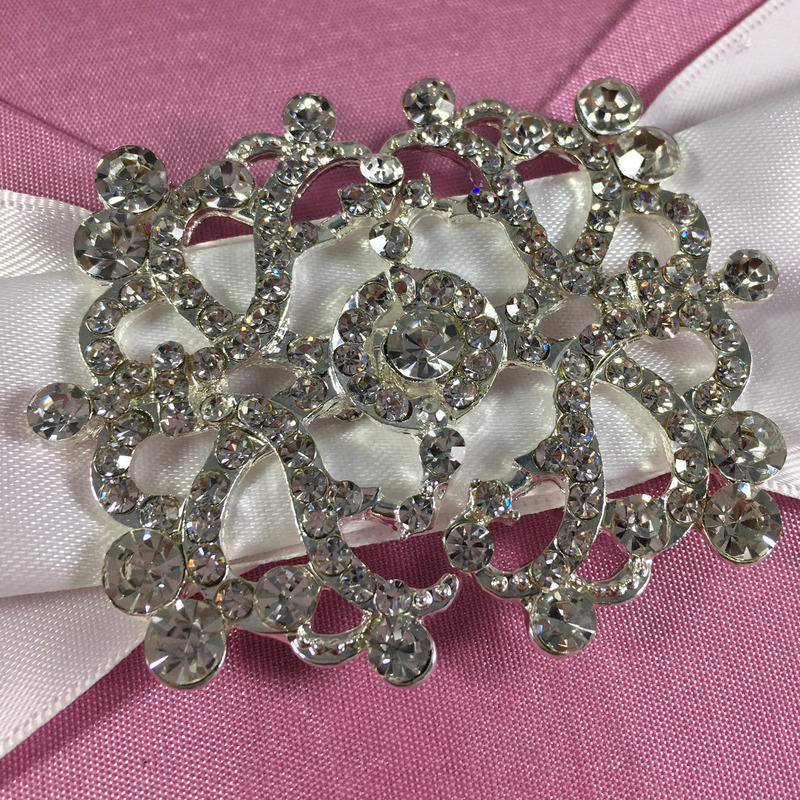 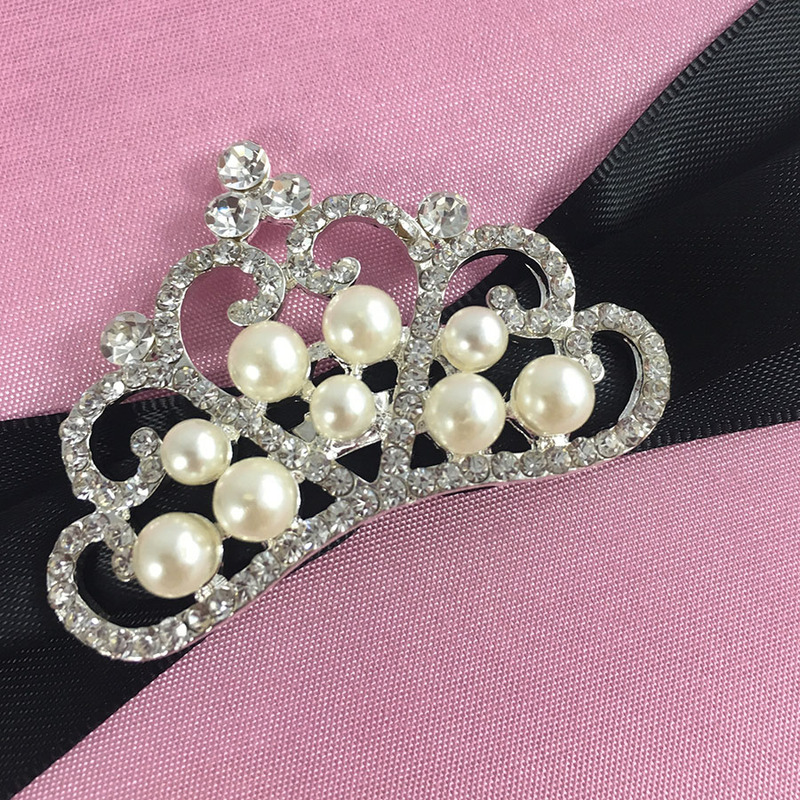 Hand-made with incredible precision and at a high quality, it is front-padded and features tiny rhinestone crystals in the pearl brooch. 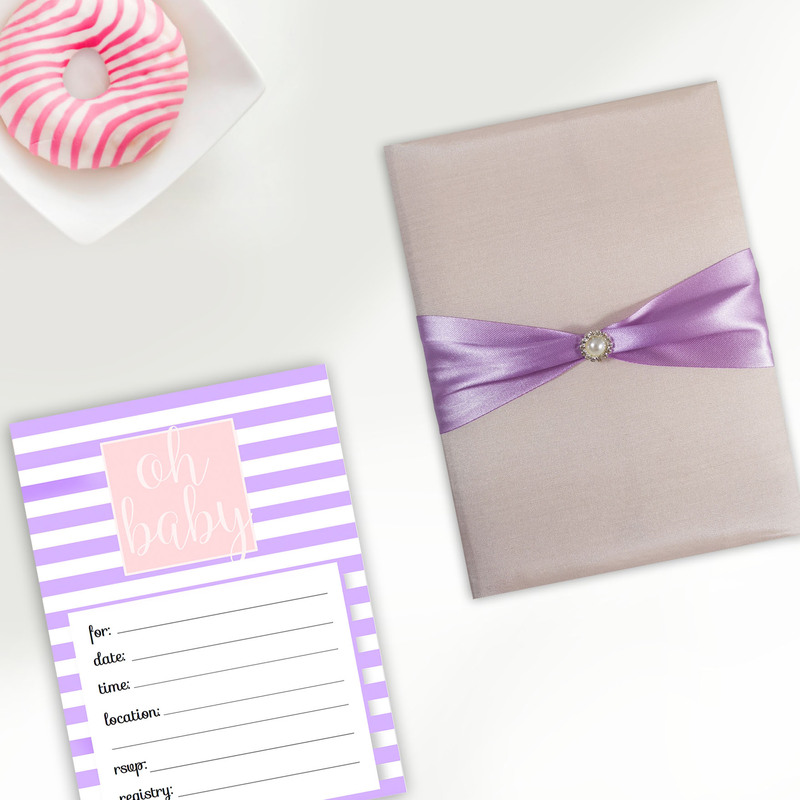 Show your guests you mean business when sending this with your invitations. 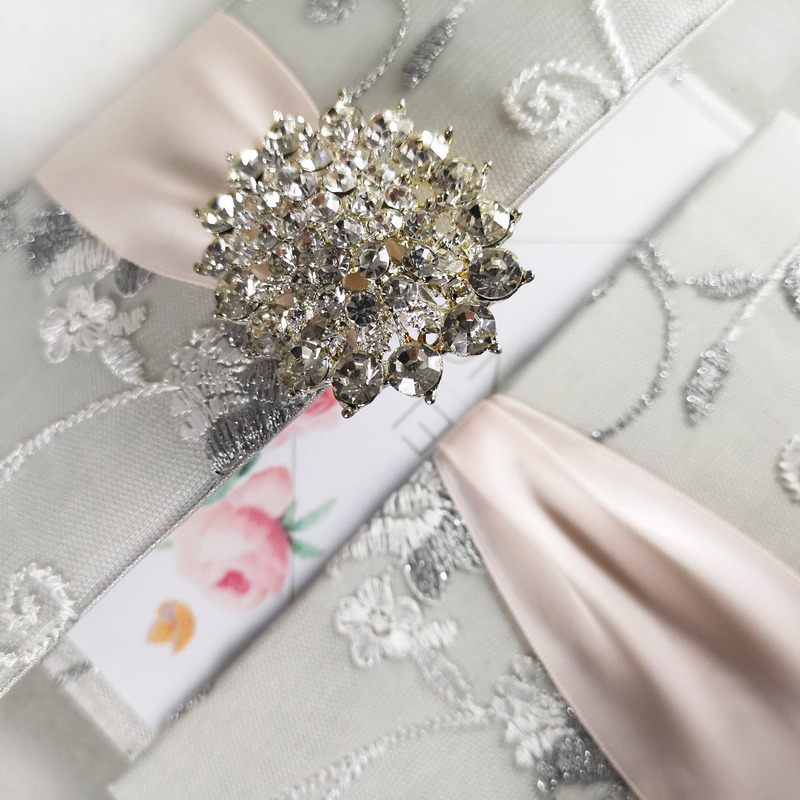 They will know to expect to a fancy event that they will look forward to with excitement. 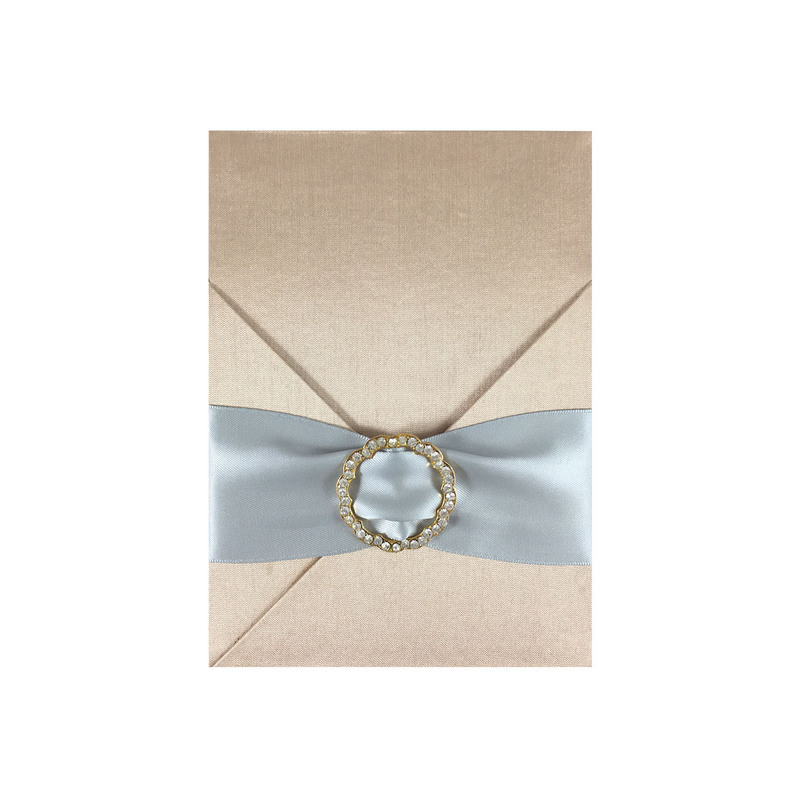 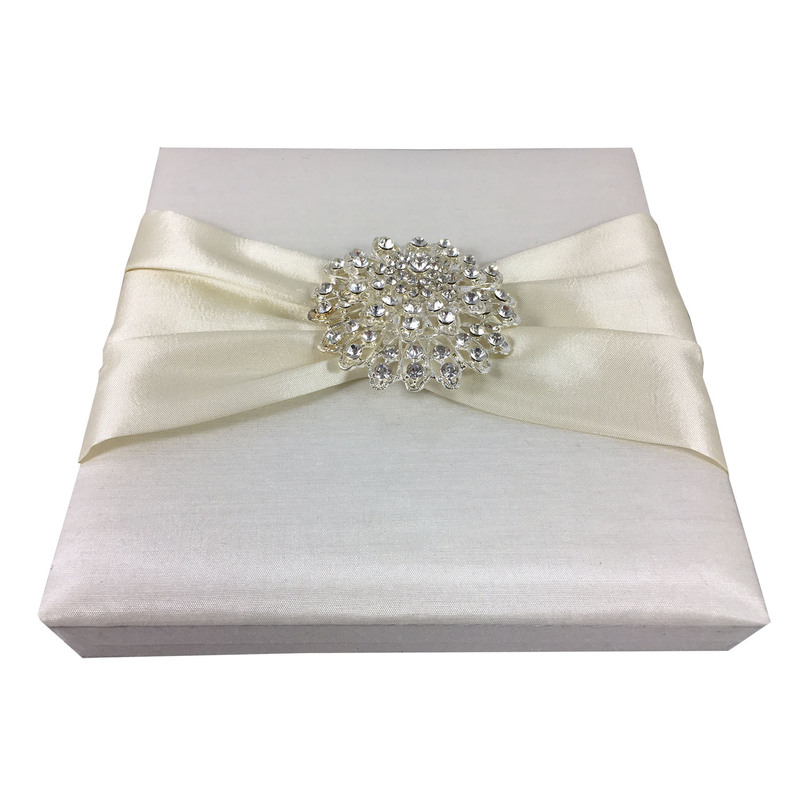 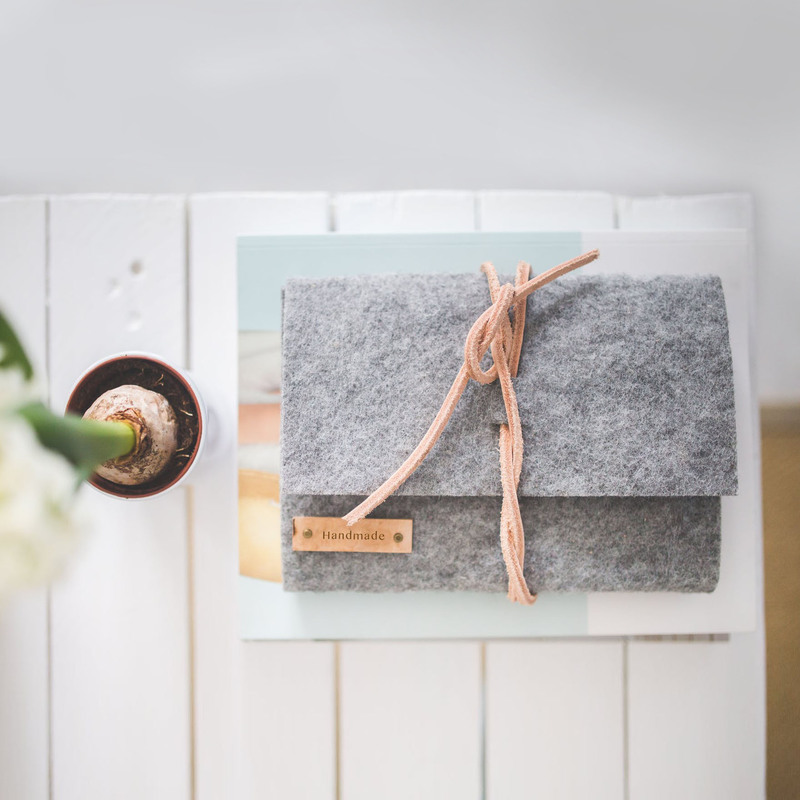 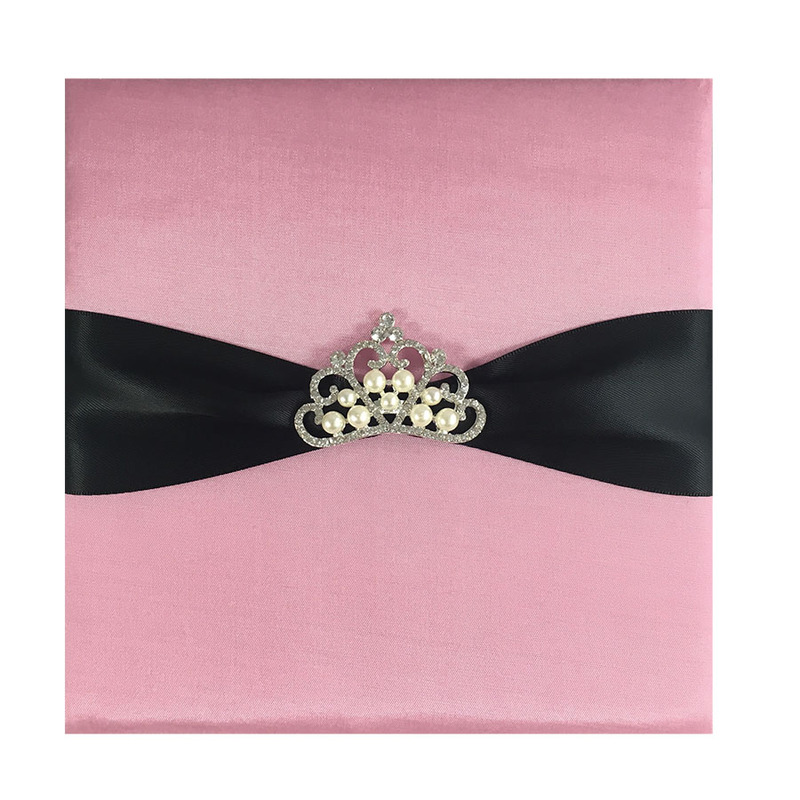 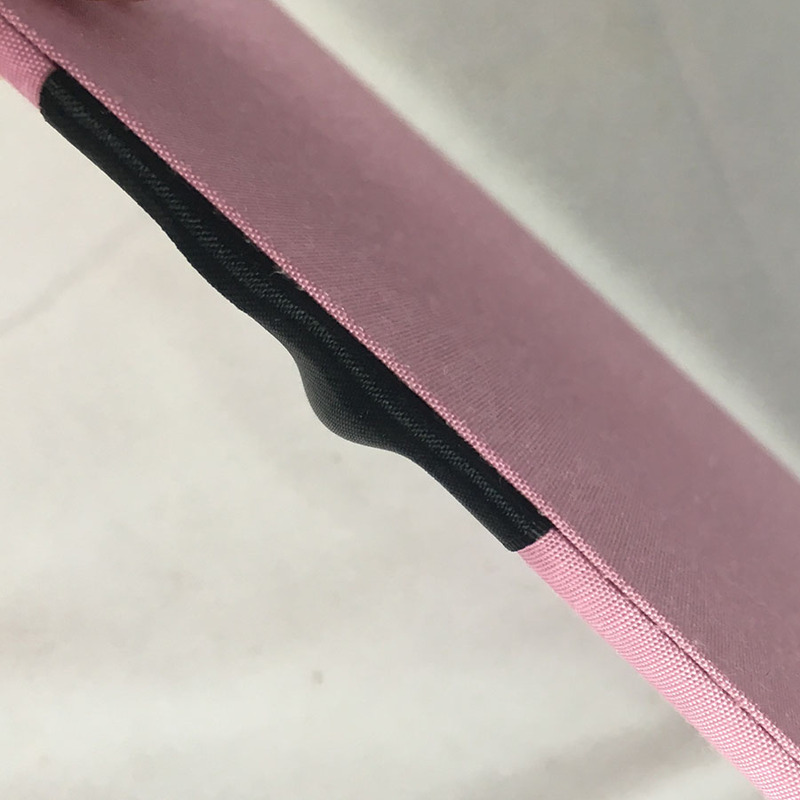 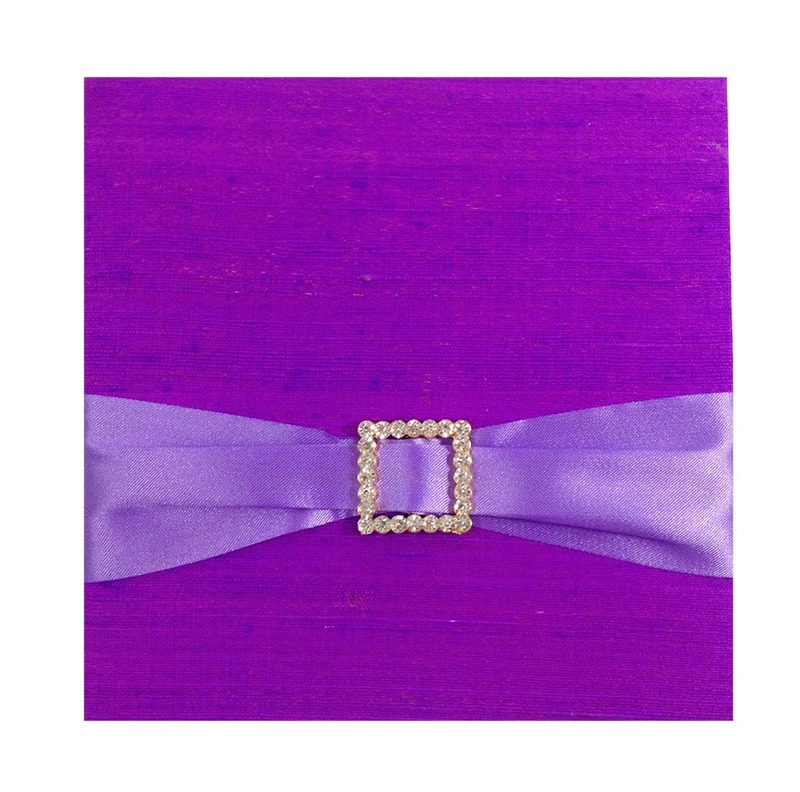 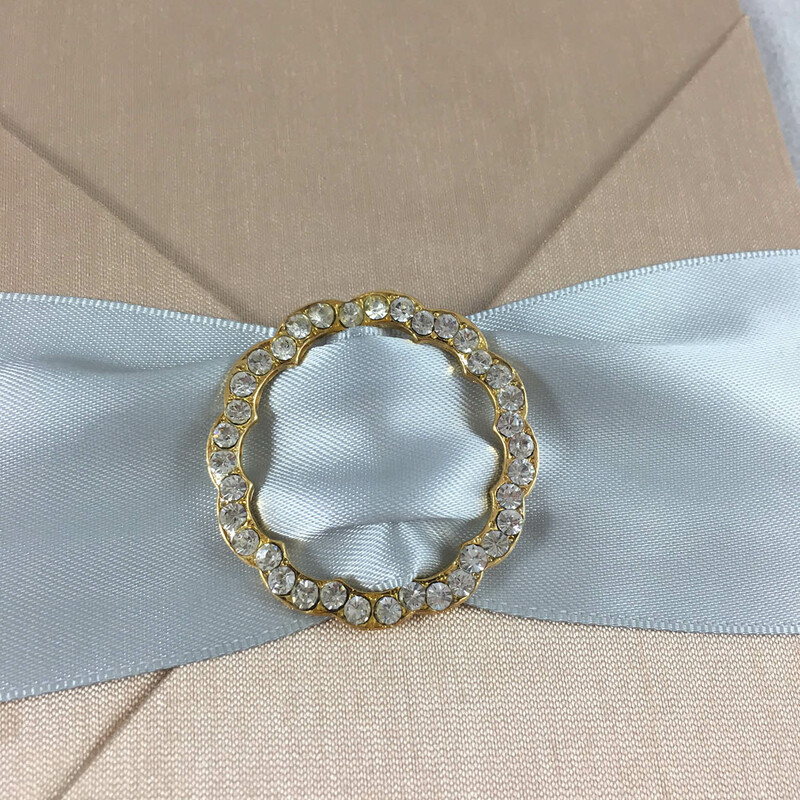 Measuring 5 x 7 inches, this pad is the perfect size to hold our silk and velvet invitations, and will fit snugly inside one of our mailing boxes. 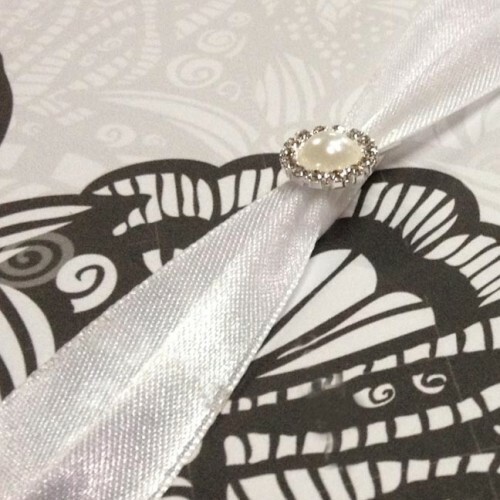 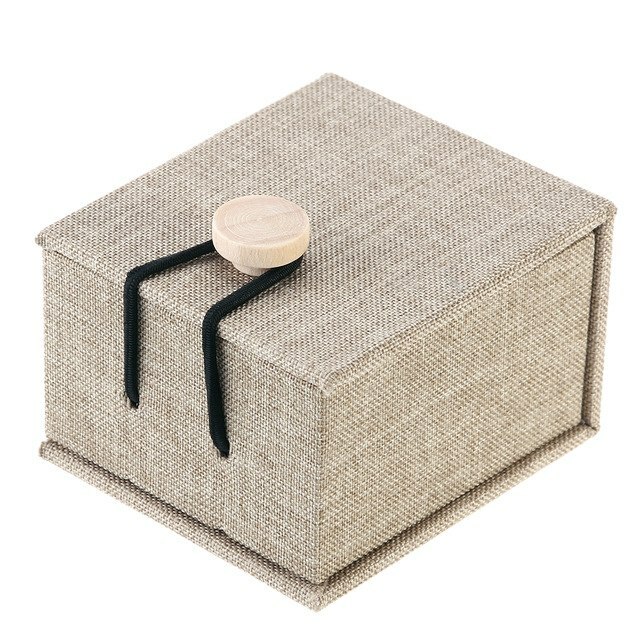 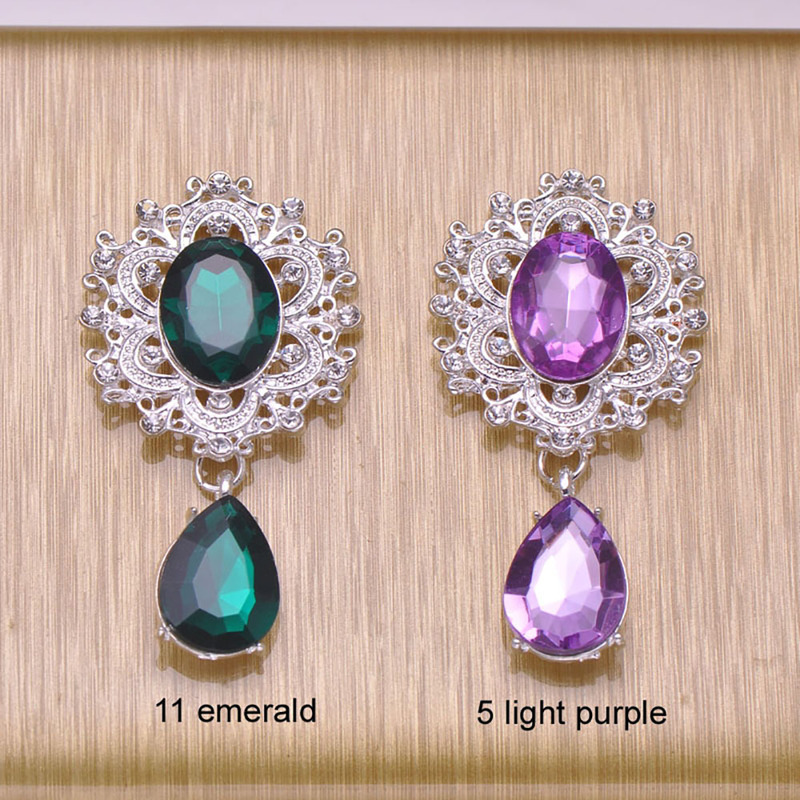 It is the little details that matter, and together, these items will allow you to show-off to the world that you are getting married, having a party, or inviting them to a posh corporate event. 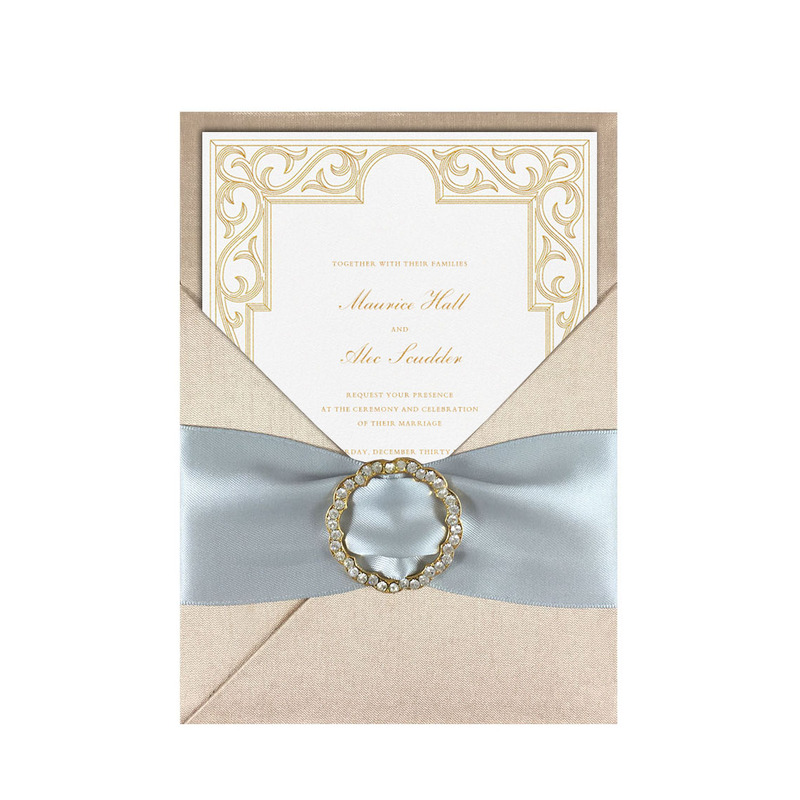 Make sure all your guests are talking about your occasion well before the date.